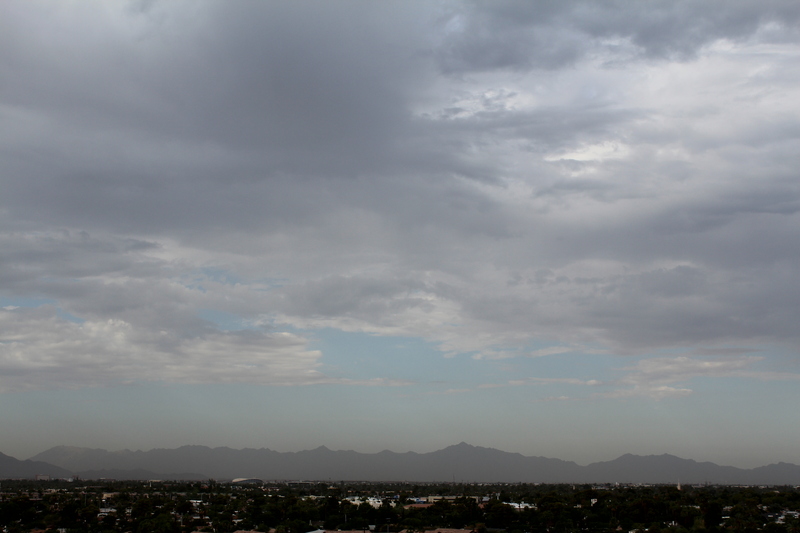 The monsoon has rolled over Phoenix like a giant slug, stifling us with icky damp humidity that rarely turns into rain. Our only reward is the cloudy mornings, which give a short break from the bright, sticky days. Although now that I’ve taken that picture and noticed how all the smog is nicely sandwiched between the clouds and the Valley, I will be slightly less enthused about breathing huge lungfuls of morning air. 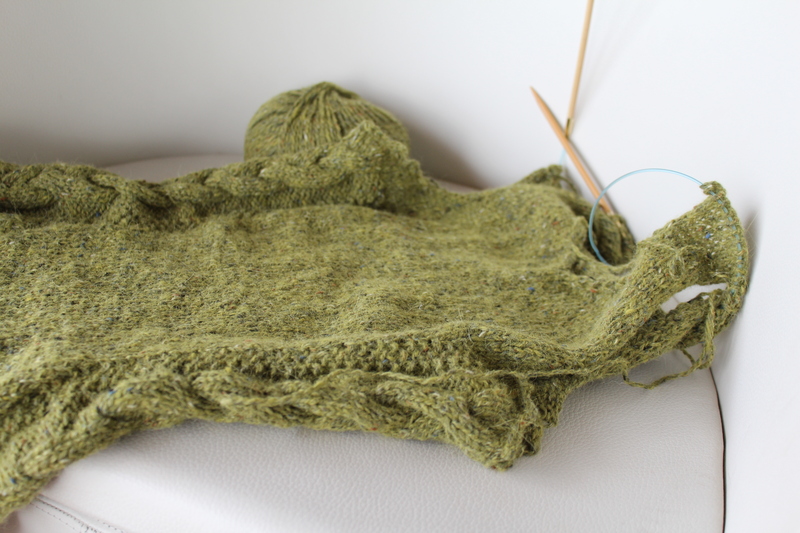 In knitting news, I sat myself down last night with Midnight in Paris and two bags of knitting: the Baby Thing and my Sexxxy Librarian vest (Click the link and check out how the pictures in that post are almost exactly the same as in this. I am feeling really, really unoriginal right now.) Somehow, the vest, my only project without a deadline, came out of its bag. Knitting a mostly-finished project, off of a real pattern (not one I’m making up as I go along), while watching a movie I’d already seen before, was a lovely brain break. I will get back to deadline work later, but taking time off from that all, like our little breaks from glaring sunshine, was quite a reward. Thank you for pointing that out! Even I will admit that lightning storms are pretty thrilling…even though they don’t do a thing for the humidity. I love the monsoons…………………..it actually gives us ‘weather’ here in the valley of the SUN! I am anxious to see your vest completed. I think it is going to be quite attractive.